I have been waiting for the movie to come out since they first released pictures and trailers of the movie. The idea of putting together a group of villains sounds like a dangerous but genius idea. First, storyline. There is very little story in this film. We all know that plot in superheroes films to will always be the good vs evil. Even though in Suicide Squad it was more the bad vs badder, because these bad guys are dealing with out-of-this-world power. However, it was lacking something. I don’t think the storyline has any sparks to it. The plot could have been developed a little better. One thing that I wish to learn more is the motivation behind these characters’ actions. Yes, we got a little back story that helped us understand why they are the way they are. However, it doesn’t always justify or help us understand why they choose to do what they did. I also found the Joker storyline in the film is quite forced. It almost felt like they should have created another movie just for Joker and Harley Quinn as he barely contribute to the squad anyway. The humour in the film was unexpected for me. I didn’t think that there would be much humour but I was wrong because some moments in the film was hilarious. One thing that I realised is that these villains don’t feel very villainous. Unexpectedly, the one I felt the most villainous among them all is Amanda Waller, the chief of the squad. The villains in the squad, unexpectedly, formed a friendship with mutual respect. I have to say that they did a good job in humanizing these villains. In terms of characters, I have to admit that I was only familiar with the Joker and Harley Quinn, so the little introduction at the beginning of the film was a nice touch. The actors in the films are amazing. The casting for this film was well done. Jared Leto and Margot Robbie are definitely the scene stealers. They are both brilliant as Joker and Harley Quinn. I wish that the other characters got more chance to shine. I feel like there are more to these characters than what they’ve shown to us in the film. We still got to see their cool moments, but they don’t have enough screen time to show us what they’ve got properly. The other character I really like is Rick Flag. I think Joel Kinnaman did an amazing job portraying him. 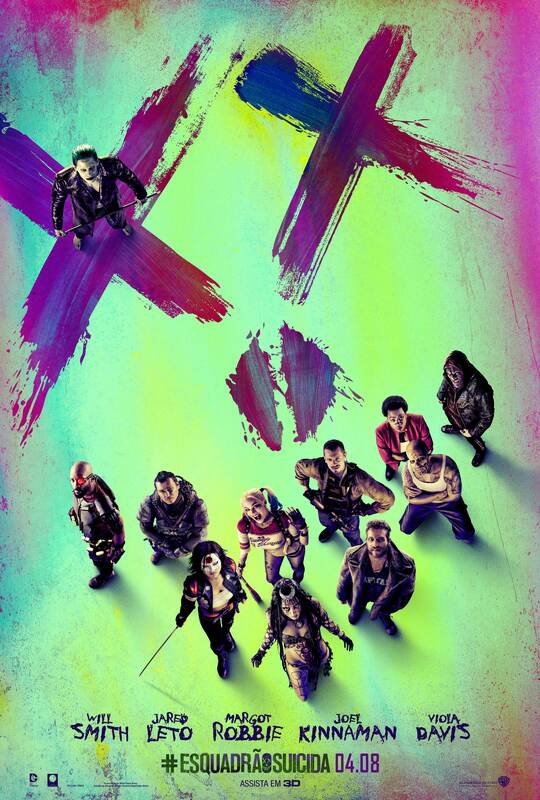 Suicide Squad is a wonderful explosion of colours and sounds. Despite the dark stories, anything else in the films are colourful. The sounds are properly chosen for the right scenes. I have to admit that some slow motion scenes in the film was way too slow for my liking. I was telling my friend that I felt like fast-forwarding the scene if I could because it was THAT slow. All in all, Suicide Squad was a fun ride. But if you are expecting to be wowed by the movie, you might want to lower your expectation as I leave the cinema feeling a little disappointed because I was so ready to be blown-away by the movie. Though if you are only looking for a fun, light, and entertaining summer movie, Suicide Squad might be the one!